On the Road, Making Music and Raising Hell! 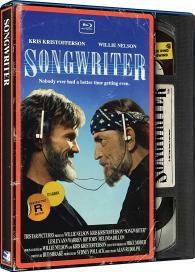 Willie Nelson and Kris Kristofferson as a pair of hard-living Texans in this funny, original and very real look at the country music business. Doc Jenkins (Nelson) may be one of C&W's most beloved stars, but his private life is a wreck. He's split up with his longtime partner, Blackie Buck (Kristofferson), a country outlaw with a heart of gold. Doc's singer-wife, Honey Carder (Melinda Dillon), has thrown him out of the house. And now he's gotten involved with a sleazy music manager, Rodeo Rocky (Richard C. Sarafian), who's out to steal his material. Teaming up with Blackie, Doc takes drastic measures to win back his family and reclaim his songs. It's Willie and Kris, on the road again, making music and raising hell!